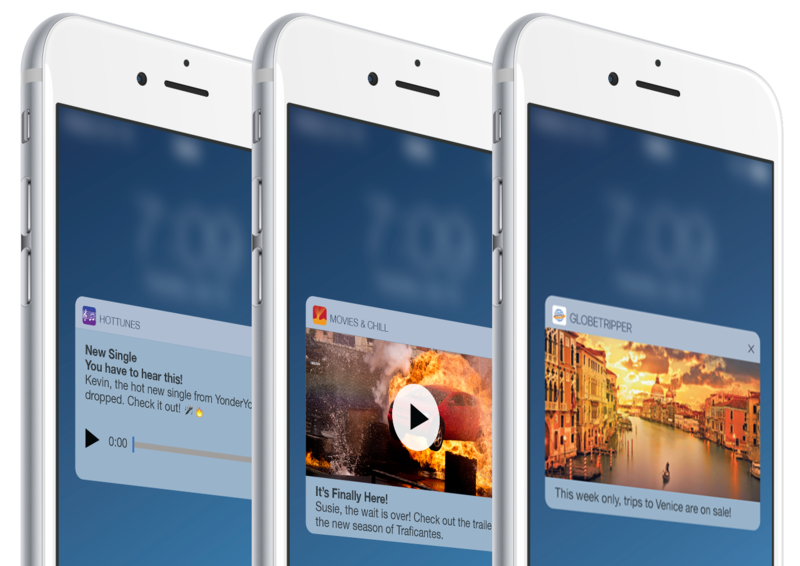 If you want to use push the right way, you need Localytics’ push notification service. Our industry-leading targeting capabilities and True ImpactTM campaign reports make it easy for you to effectively engage mobile app users without alienating them. Target users based on who they are and what they’ve done inside your app. Craft campaigns that adapt the experience to each user based on who the user is and what they’ve done inside your app. 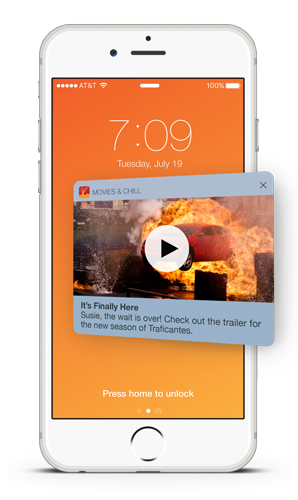 With Localytics, you can include images, GIFs, videos, or audio files directly in your push notifications for more compelling messages that deliver results. We support rich content for both iOS and Android devices. True Impact is our industry-leading campaign reporting tool. 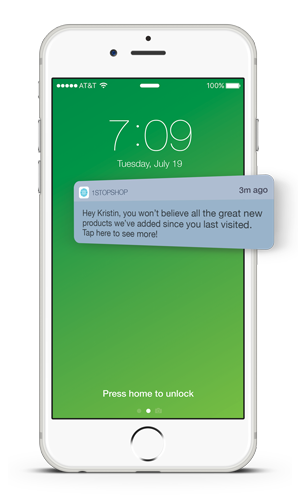 With True Impact, you can see exactly how your mobile push notifications drive changes in user behavior. You can even see unintended side effects, like if a campaign is causing users to opt out of push notifications or uninstall your app. By showing you the complete picture of what users do after they receive a message, True Impact™ allows you to make more informed decisions about your messaging strategy. Because Localytics tracks incredibly detailed information on what a user does inside your app, it’s easy to automatically send a message after a user performs a specific action. You can even use Localytics PlacesTM to send a location-based push notification the instant a user enters or exits a geofence. Because apps don’t have borders, Localytics lets you send a push notification in multiple languages. You can also schedule messages to appear at a specific time in each user’s time zone. Personalized content is one part of creating an individualized mobile app experience. Dynamically personalize your push notifications for each and every app user, using information such as a user’s name, their favorite category, and more. You can even personalize things like deep links and rich push content. Test up to 10 versions of every campaign and find the message that resonates the best with your users. Control groups let you see the true performance of your push messages. Not only do emojis add some personality to your push messages, they can also do a lot to increase your push open rates. Our Push API makes it possible for other systems to automatically send push notifications through Localytics. For example, an order management system can send a transactional push notification to a user telling them that their order has shipped. We’re just scratching the surface of what Localytics can do for you. To see more, schedule a demo with one of our knowledgeable associates. 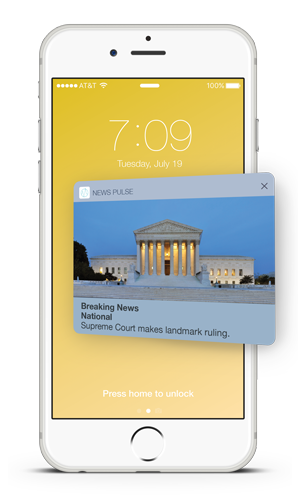 If you want to learn more about push notifications click here.